Jazmin Garcia, first-generation college student, is recipient of the of the Walter B Cooper. 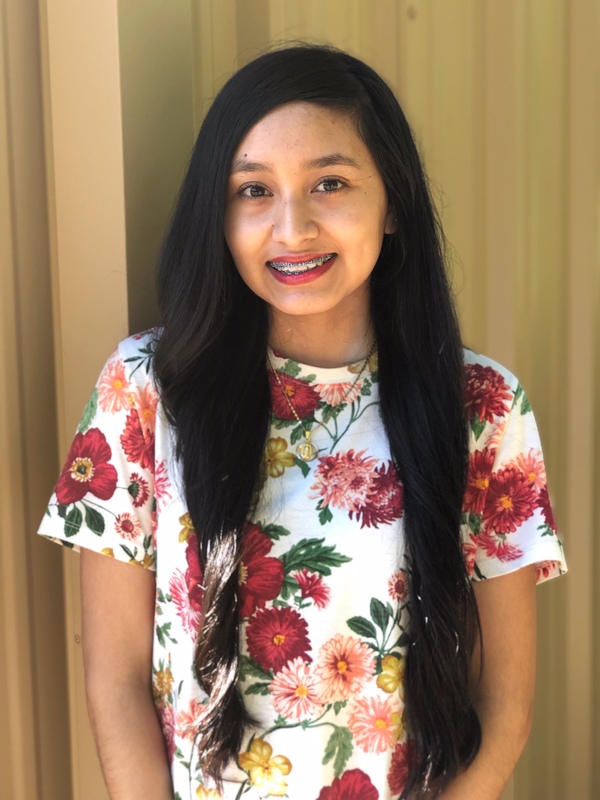 Jazmin Garcia, a student in the Honors Program at Northeast Texas Community College and a graduate from Mount Pleasant High School, recently received the Walter B Cooper Scholarship at the Texas Leadership Conference. The Phi Theta Kappa conference, held on the campus of East Texas Baptist University, concluded by announcing five winners from across the state of Texas. The Walter B Cooper Scholarship recognizes outstanding students who are “well-rounded” in the four Hallmarks of Phi Theta Kappa: Scholarship, Leadership, Service and Fellowship. Garcia is a first-generation college student majoring in biomedical science. After being diagnosed with an autoimmune disorder in high school, she became interested in medical research, which has inspired her to study immunology. She serves as the Vice President of Scholarship for the Phi Theta Kappa chapter as well as holding an officer position in the Bio-Chem Club and being a member of the Student Government Association. Garcia won a 2018 Caldwell Award from the Texas State Historical Association for her research on Mildred Moody, which will be published in an upcoming issue of the Touchstone journal. A presenter at the Great Plains Honors Council last March, Garcia will also be presenting her work at the upcoming National Collegiate Honors Council meeting in Boston in November. Garcia won third place in a regional poetry contest and was invited to read her poem “Northeast Texas, My Home” on a local radio station. She has participated in the Work Scholarship program on the NTCC campus as well as being a class helper for the “Discovery Kids” classes held in the summer. Off campus, she volunteered weekly over the summer at Hospitality House. She has also helped deliver bags of food with the Titus County Cares Backpack Program, we well as serving as a judge with the Region 8 Science Fair. Garcia’s application was the highest-scoring application in the state for the Walter B Cooper, earning her the top prize of $750. She is the fifth winner of the scholarship in as many years. Alicia Cantrell won in 2017, Tanika Santos-MacSwain in 2016, Mary Smith in 2015, and Kayleah Cumpian in 2014.